Words and what not: Paul von Hindenburg. #German President because the text says so. Paul von Hindenburg. #German President because the text says so. 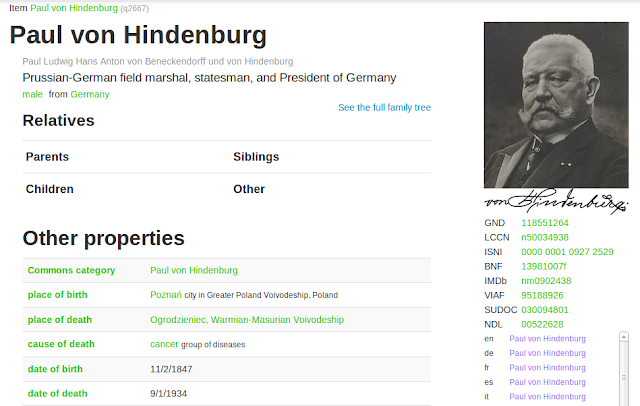 The #Wikidata information for Paul von Hindenburg says in the English description that he was the President of Germany. Given what Wikidata is about, such a statement should exist as a "statement" and it could be accompanied by "qualifiers" like the start and end date and a predecessor and a successor. My bot aborted on Mr von Hindenburg because it said in text that he was independent of any political party. 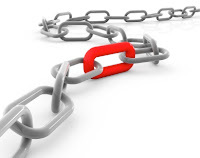 There is now a link to the [[Independent politician]] article. Wikidata now knows for all the German Presidents what party they were affiliated with. Article not found in #Wikipedia? Check #Wikidata! #Wikimedia Foundation has an "Official #Website"